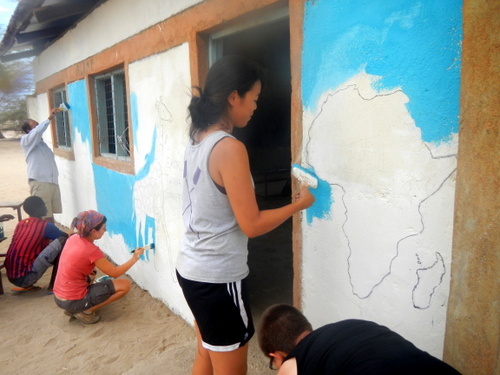 On Sunday the students returned to the school to begin the second phase of the mural: Outlining the main animals and painting in the blue background. 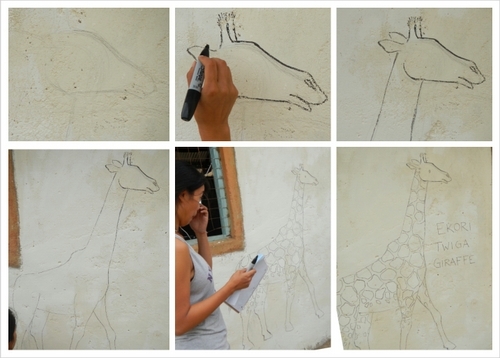 Some of the more artistic students showed off their skills by drawing and painting these main animals onto the wall. 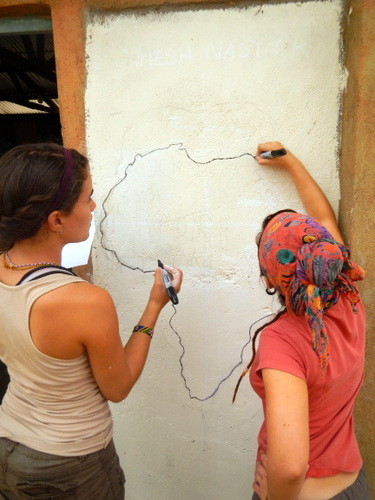 Luisa and Kat outlining the African continent. 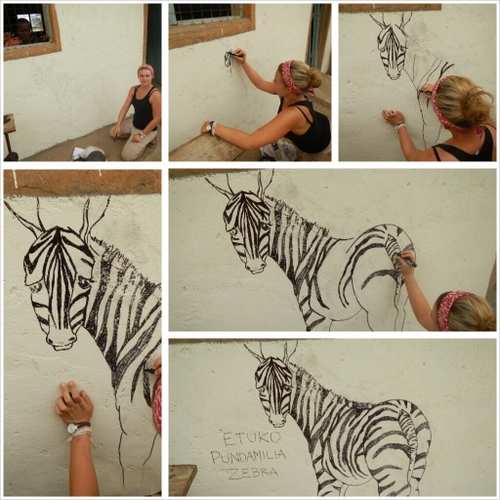 After the biggest animals were completed, it was time to fill in the spaces! Students cover the white of the wall with a wonderful light blue. 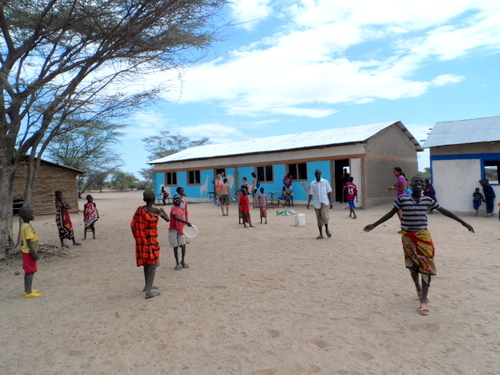 As the morning came to a close, everyone came together for a fun game of frisbee. Return next week for the exciting finale!